Labor Day is right around the corner and as it marks the end of the summer, now is the time to make sure you get all your sun, cocktails, patio dining and more before the temps get chillier. Here are our top picks for entertainment, dining, music and more for the holiday weekend. 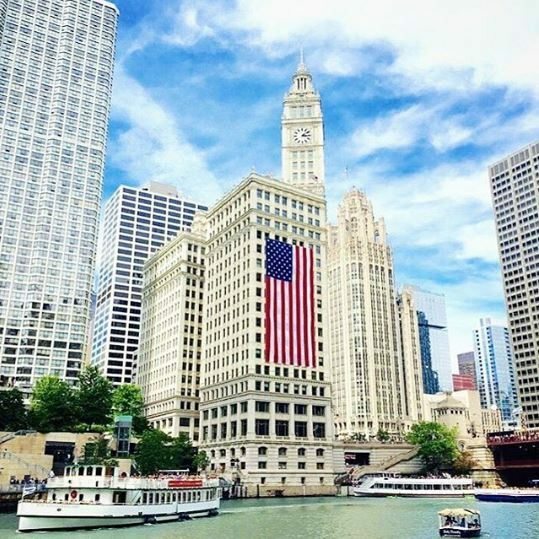 Entertainment Cruises: Hop on board the Spirit of Chicago and set sail this holiday weekend. Entertainment Cruises offers a variety of cruise options from Sept. 2- 5, including a skyline lunch cruise on Friday and Saturday, a Fireworks Dinner cruise on Saturday, and a special lunch cruise for Labor Day. Sullivan’s: For you suburbanites, Sullivan’s Steakhouse will be offering 40% off bottles of wine up to $500. Sip on a glass from your favorite bottle and enjoy entrees, salads and sweet deserts from the restaurant. Chicago Jazz Festival: Enjoy the great outdoors and the smooth sounds of Orbert Davis’ Soul Migration, Oliver Lake, Charlie Haden’s Liberation Music Orchestra, The Bad Plus and more from Sept. 1-4 at the Chicago Cultural Center. And did we mention it’s free?! Forno Rosso:Visit one of our favorite West Loop neighbors (1048 Randolph Street, Chicago, IL) for a Labor Day brunch and chance to win a flight to Italy! Enjoy Italian brunch cuisine like frittatas, veggie breakfast pizzas, and refreshing bloody Mary’s and mimosas. They also have beer pong available on the patio for $10 to play.